It's another case of Viacom sharing and they love to share shows with its siblings. The latest show is How I Met Your Mother, which has been airing on sister networks TV Land and (previously) Nick at Nite, but will now appear on Comedy Central come this September. The "legendary" sitcom will join the schedule on Tuesday, September 6, 2016 and will air weekday mornings at 10:30am and 11am, following reruns of Saturday Night Live at 9:30am. How I Met Your Mother currently airs on many networks, with TV Land airing the sitcom in the overnight, WGN America in late fringe, Lifetime in mid-morning and FX in afternoons. Not to mention local broadcast syndication! Will one of these cable networks be losing the series come this fall? Stay tuned, but it looks like the Viacom networks (TV Land and Comedy Central), will still be airing the sitcom. 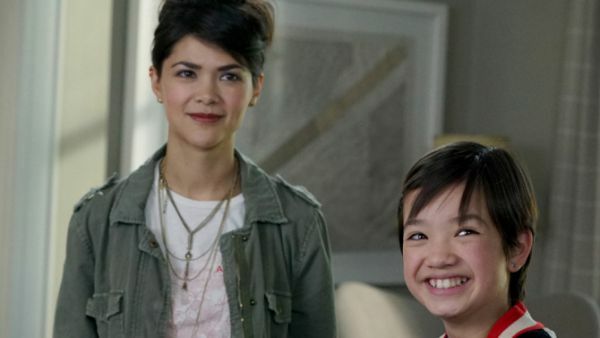 Disney Channel has ordered Andi Mack, a new series for kids and families created and executive produced by Terri Minsky who also created one of Disney Channel's defining hit series, Lizzie McGuire. The series begins production this fall in Salt Lake City, Utah, with 12-year-old newcomer Peyton Elizabeth Lee starring in the title role. It is scheduled for a 2017 premiere on Disney Channel. Andi Mack, a single-camera family series, centers around Andi as she's about to celebrate her 13th birthday. However, when her capricious older sister Bex returns home with the hope of getting her life together, Andi's life is turned upside down and she is left questioning everything she's ever known. Also starring are Lilan Bowden (Zombie Apocalypse) as Andi's sister Bex, Lauren Tom (The Joy Luck Club, Friends) as Andi's mother Celia, Joshua Rush (Disney's The Lion Guard) as Cyrus and Asher Angel (Jolene) as Jonah Beck. In addition to Lizzie McGuire, for which she was a WGA Award nominee, Minsky created the television sitcoms Less Than Perfect and The Geena Davis Show, both for ABC and most recently developed Finding Carter for MTV.